Print design Oldham. 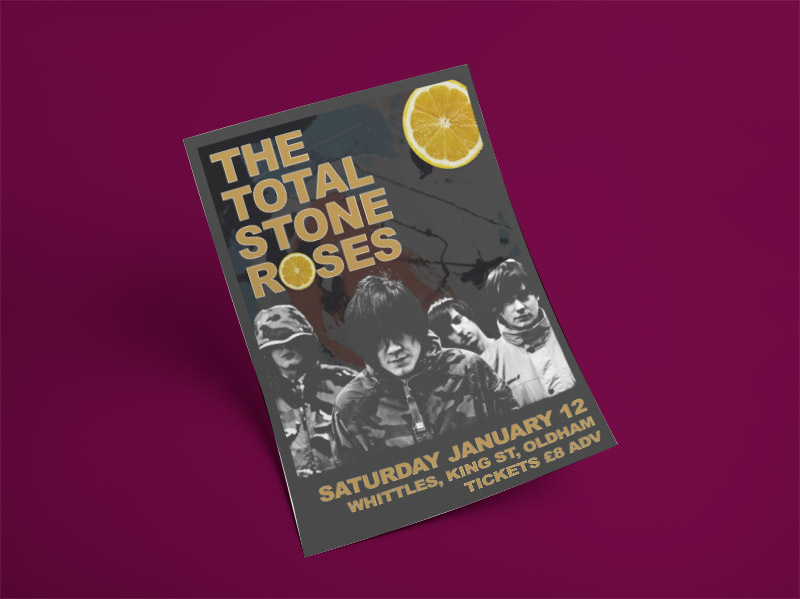 Poster design Oldham. Graphic designer Oldham. poster design for a live music venue. Whittles is a live music venue in Oldham. Having recently changed owners, the pub decided to re-vamp it’s promotional output. Whittles caters for a wide range of music tastes, from rock to ska, original artists as well as tribute bands. 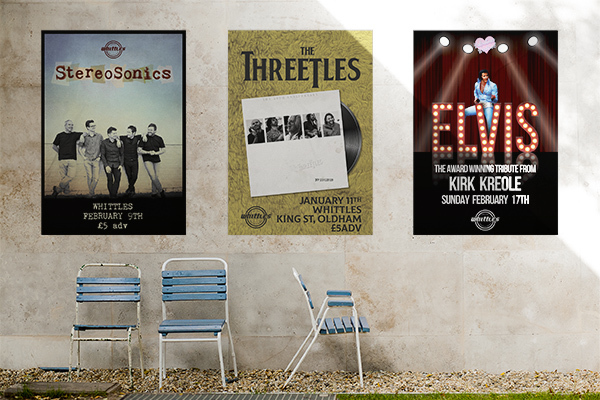 The venue requires a constant flow of both posters and social media posts for their live music nights. I liaise with the owners at Whittles on a regular basis. Monthly schedules of acts are sent through and I work through these in chronological order. 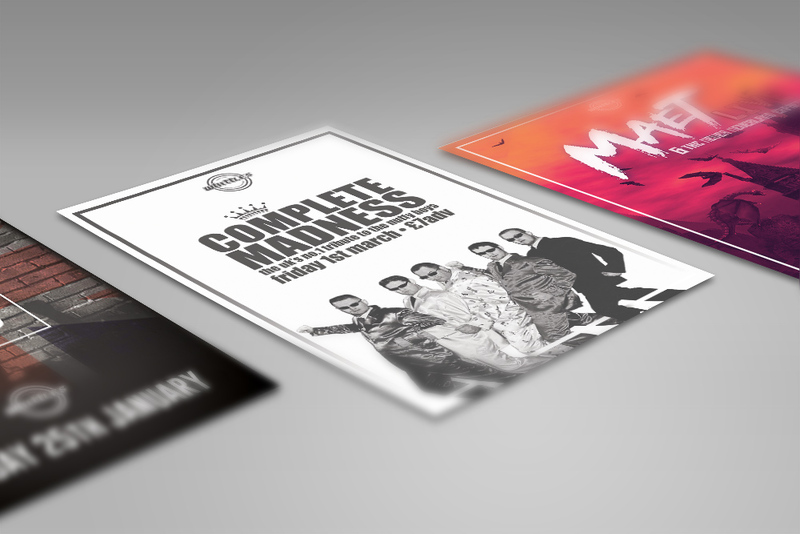 The design process is different for each poster, however much of the prep remains the same each time. Finally, bold text is added giving details of the event and of course, the band’s name. Whittles get eye-catching posters with innovative, artistic solutions. A whole host of photo manipulation techniques go in to producing these unique designs.